Fine solid bronze sculpture of a hare sitting in the moonlight by Michael Simpson. There is a special place in folklore for the hare - its association with magic, witches and the moon goes back many centuries, no doubt a result of its elusive and nocturnal nature. 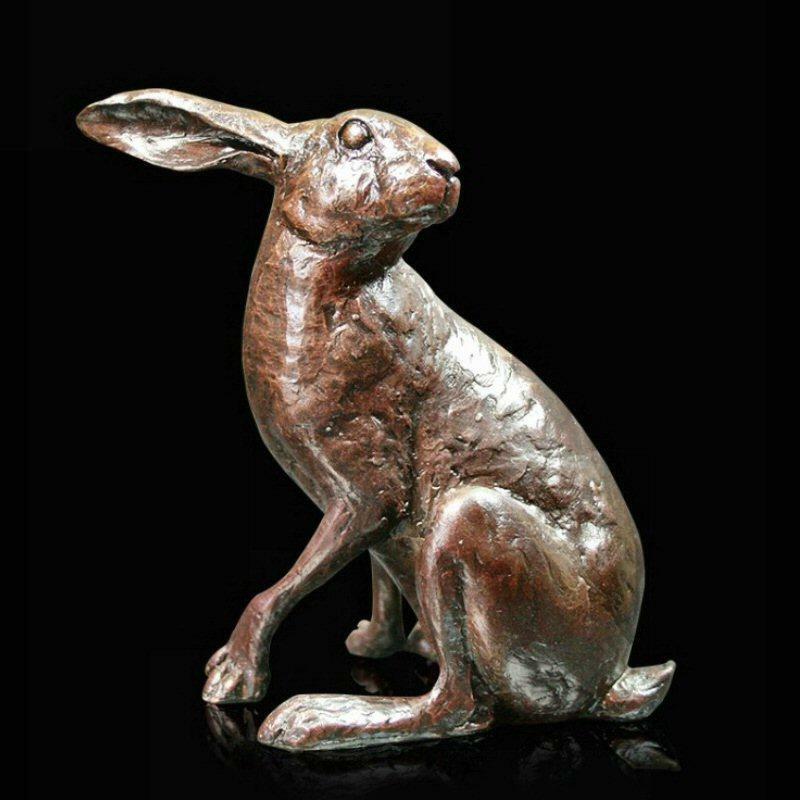 This keenly observed sculpture captures a still and tranquil moment in the otherwise fast moving life of a hare and would make a special gift for a collector of bronzes. hot foundry cast stainless steel, hand finished.